The Discovery channel will air a special one-hour documentary tonight about famous pitchman Billy Mays, who died unexpectedly June 28 of apparent heart failure. Several companies have also announced that they will begin airing Billy Mays commercials again, after having pulled them off the air immediately after his death. I make mention of the fact because, gosh darnit, I kinda liked Billy Mays and his goofy commercials, which generally began with “BILLY MAYS HERE…” and continued to tell me why his product was great. Usually when someone is yelling at me about a product, I get annoyed. But with Mays, there was a likable charm to it. When he was yelling, he wasn’t really “yelling” but simply talking at a very high volume. And his pitches always had such an earnest, good-natured quality to them. Pitches by various versions of the “But wait, there’s more!” TV announcer — inevitably ending in a blue screen and a 1-800 number in Helvetica typeface — usually might as well say “Hurry up and get ripped off!” But Billy Mays was different. He was the pitch guy who you wanted to trust. He had the voice, the volume, and the velocity. But high-energy never seemed high-pressure. We’ll miss you, Billy. Now excuse me while I go buy some OxiClean. I’m not sure what it does or if I need it. In Billy I trust. I kind of prefer being patronized like I’m an idiot by the Shamwow guy. I have to admit that I liked Billy Mays too and it was kind of shocking to hear he was dead just days after he appeared on The Tonight Show. Btw, The Shamwow guy’s name is Vince and he is a deuch bag but at least he’s a little entertaining. Vince is in prison for punching a prostitute in the face. I bet someone will love his nuts in there. 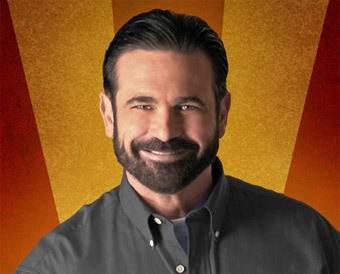 RIP Billy Mays, your voice will be missed. Billy Mays is the reason why I steal and pirate TV. Turns out cocaine use may have contributed to Billy Mays’ heart disease. Furthermore, the autopsy suggested that he may have used it days before he died. Too bad. He seemed like a person who wouldn’t be into that crap. But that’s a generalization based on an infomercial personality. I liked him but the yelling got to me, and the bllom was really off the rose for me when I saw him pitching…..life insurance. Oy. Like Adam, I am a fan of the Shamwow! guy. “The Germans make great stuff.” Classic lin, no yelling, and seems like the guy who would convince his buds to shoplift and then watch as they got snagged. I like him.